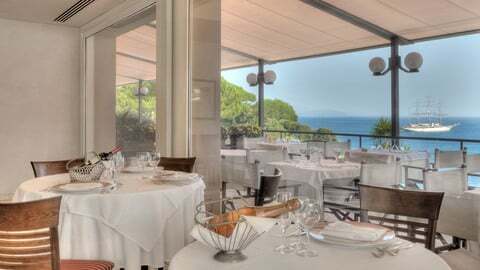 One restaurant has a spacious terrace and large windows that overlook the Gulf of Tigullio and the promontory of Santa Margherita. The chef offers a variety of menus that focus on typical Ligurian cuisine. 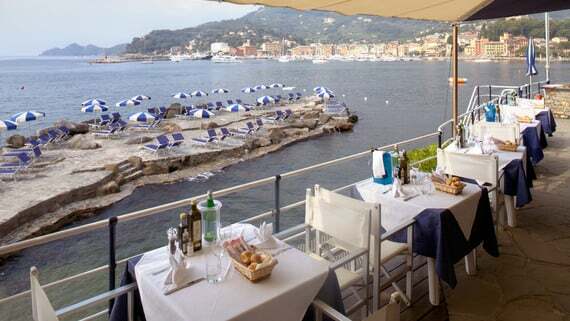 In addition, we have a cute little restaurant pied dans l’eau—directly on the beach—that is open all day from Easter to October, weather permitting. 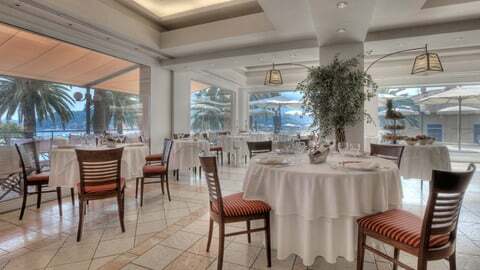 The restaurant serves delicious, fun meals that are cooked to order: lavish salads, spaghetti with seafood and grilled or baked fish. The Radiosa is yet another of our restaurants: it’s ideal for weddings, receptions, and private parties. The Radiosa is reserved for exclusive use, and enjoys a seafront location in our centuries-old park.